Tom Waits is an American singer-songwriter, musician and actor. Known for his distinctive raspy and growling vocal style and incorporation of pre-rock genres, he developed a distinctive musical persona. From the ’80s on, Waits successfully ventured into film score composition and acting. His music has been covered by numerous artists, including Bruce Springsteen, the Eagles, and Rod Stewart. Tom Waits released his debut album, Closing Time, in 1973. The bluesy ballads about lost love sung in a raspy-voiced pretty much shaped up his musical persona and reputation. He released his second album, Small Change, which featured the signature tunes “Invitation to the Blues” and the “The Piano Has Been Drinking.” His later work built a cult following which continued to grow for the remainder of his career. Waits acted in several film including The Outsiders, Rumblefish and Bram Stoker’s Dracula. His soundtrack for One From the Heart earned an Oscar nomination in 1983. He earned widespread critical acclaim for his next three albums Swordfishtrombones (1983), Rain Dogs (1985) and Frank’s Wild Years (1987). All three of these avant-garde albums crystallize his experimental side. Although much of his work has met with lukewarm commercial success in his native America, Waits has occasionally achieved gold certifications in other countries. 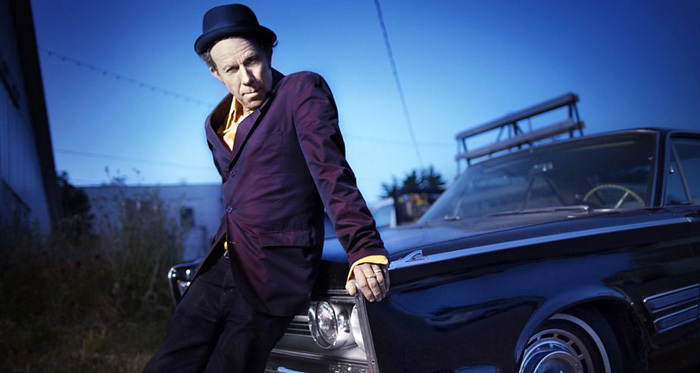 Tom Waits has received Grammy Awards for two albums, Bone Machine and Mule Variations. He was inducted into the Rock and Roll Hall of Fame in 2011. Tom Waits married musician and screenwriter Kathleen Brennan in 1980. The couple have three children together.